Connecting to current and potential customers is one of the biggest challenges facing businesses today. Significant resources are invested in creating and improving customer experiences. Even at this time of economic uncertainties, it’s hard to find a business that is not actively pursuing customer service improvements. The competition is stronger than ever as the economy begins to show signs of recovery. Initiatives related to customer relationship management (CRM) are embraced by many companies as a critical component to their overall business strategy. Organizations continue to spend heavily on CRM — $11 billion annually starting 2010 according to Forrester. Customer Relationship Management (CRM) has evolved through the years. It started in the early 90s out of the need to store customer information. Today, through the fast development of social media, a new CRM dimension is starting to gain ground—social CRM or SCRM. Social CRM is the process of monitoring, engaging in and managing conversations and relationships with existing and prospective customers and influencers across the Internet, social networks, and digital channels. This article aims to differentiate between traditional CRM and Social CRM. I think in order to understand what Social CRM is, we first have to understand traditional CRM. The strong suit of traditional CRM has been the following— enhanced customer analytics, improved operational effectiveness and improved coordination between areas that provides customer service delivery. CRM developed out of the need to store customer information. It started with businesses trying to build databases of customer contacts and converting filing cabinets full of customer files into easily accessible databases. Many organizations today are capturing terabytes of information about customers: interactions, cases, interests, demographics, responses to marketing efforts, and buying cycles. The key challenge for most businesses is how to capitalize on this information. Traditional CRM applications provide necessary flexibility to implement and automate front-end processes. It is focused on operational efficiency and improving collaboration. Forrester, for instance, identifies 6 key processes that comprise the common CRM Processes Framework. They are— Marketing, eCommerce, Direct Sales, Indirect Sales, Service and Field Services. Companies looking to implement these processes would turn to CRM. There are many solution providers out there that cover the complete package. SAP, Oracle, Salesforce and Microsoft are among the biggest providers of CRM solutions. Traditional CRM ensures that the proper activities and tasks will be performed by the appropriate people, in the correct sequences. What is Social CRM (SCRM)? According to Brent Leary, an SCRM expert who authored Brent’s Social CRM Blog, “Social CRM is growing out of a completely different need – the need to attract the attention of those using the Internet to find answers to business challenges they are trying to overcome.” The way I see it, Social CRM extends beyond traditional CRM by focusing on people and not on processes. Processes and information are covered by traditional CRM. Social CRM centers on meaningful engagement—it focuses on content and conversation. To illustrate capabilities of Social CRM, I think it’s best to explore one of the leading providers of SCRM solution today—Lithium. Lithium provides SCRM solutions to build enterprise communities on-demand including forums, blogs, ideas, and a Social CRM platform. 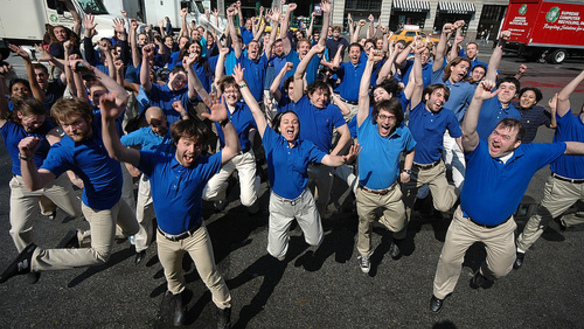 Barnes and Noble and Best Buy are two companies that implement SCRM. If you click on the links associated with these companies, it will bring you to their respective community pages. You will see that both companies are using the platform in different ways. 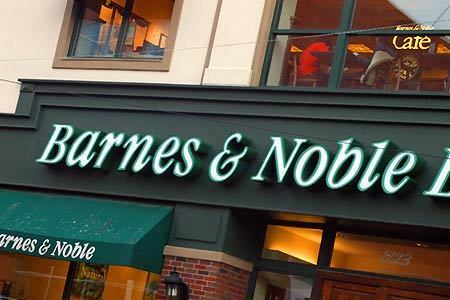 Barnes and Noble uses it as a platform to recommend and discuss books while Best Buy collaborates with their customers to talk about electronic products and solve technical issues. You are welcome to participate in those forums as a customer or a potential customer of Best Buy and Barnes and Noble. Social CRM adds a whole new dimension to customer relationship management but it does not replace the latter. I see it as a much needed complement to traditional areas of CRM. In today’s competitive business environment, you’ll have to go beyond CRM to create new relationships based on conversations and trust. Be reminded that the end goals are the same— customer attainment, retention and profitability. Photos courtesy of Best Buy and Barnes and Noble. Climate Change— is your IT Department going Green to help the environment? I had the opportunity to meet with some good friends and colleagues while vacationing in the Philippines last month. A colleague of mine, Roland Vera Cruz, who leads Alternative Fuel projects in CEMEX Philippines, encouraged me to write about Green IT Initiatives. We talked extensively about his enthusiasm for energy efficiency and green initiatives. Is your IT department going green? Desktops, laptops, printers and all other IT equipment account for 9 percent of all energy consumed by businesses. Did you know that a typical computer (CPU and Monitor) sends 1,000 pounds of CO2 into the atmosphere every year? To put that into perspective, 20 computers will equal CO2 emission of a midsize car. There are a lot of opportunity areas for IT to contribute in Green initiatives, starting with improving energy efficiency of the IT infrastructure. Based on a McKinsey report, 60 percent of global executives view climate change as important to consider within their companies’ overall strategy and nearly 70 percent see it as an important consideration in managing corporate reputation and brands. No wonder there is a lot of buzz about green strategy. I hope this translates to the importance company leaders place on the environment and not merely a gimmick for corporate image building. In nearly all the places I have been this past 5 years, I have personally experienced serious evidences of the shifting global climate. While in Germany during the winter of 2005, I remember Germans being anxious about a particularly unusual winter. The temperature wasn’t going down like previous years. They worried that insects that normally perish during the long winter chill will survive and propagate, impacting ecological balance. Another example is the great flood in Manila just last year — I talked about it in one of my articles. The rainfall was unprecedented and some low-lying areas were reclaimed by growing lakes. Lastly, just arriving in Florida this month, I was greeted by an unusual winter chill (which turned out to be record low temperatures across the state and, in some areas, it even snowed in sunny Florida). It troubled farmers that the famous Florida orange crops might be freezing. The signs are obvious everywhere. What can we do to help in each of our industries? CIOs and IT managers in many multinational companies now face growing pressures to become more sensitive to their companies’ energy consumption and environmental impact. It is evident with the rising trend. More major companies are implementing comprehensive plans for green IT practices and technologies. 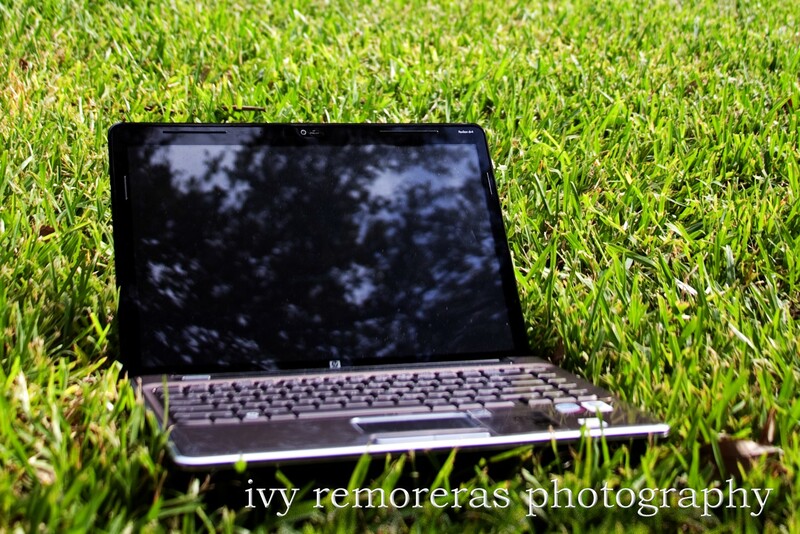 According to the new study by Forrester Research Inc., about 28 percent of companies are into Green IT initiatives. That’s up from 20 percent in April of 2008. One of the primary ways to pursue IT Green initiatives is through energy efficiency. The challenge for IT innovators and industry leaders is to continue to come up with ways to support the constant need for increasing computing performance without increasing power consumption. I think a thorough understanding of IT energy consumption and operations is the groundwork of this initiative. From this foundation, IT leaders can work out strategies to help them improve IT efficiency, address emissions and reduce energy costs. Results of these initiatives must be measured against business goals. Many organizations have demonstrated that significant return on investment can be achieved from pursuing green initiatives through energy savings. IT can also take advantage of business process initiatives. Some business process projects can be Green initiatives if some specific objectives are integrated into the overall vision— whether the goal is reducing the company’s carbon footprint, decreasing overall transportation and distribution costs, finding alternative fuels, improving operational efficiency and optimizing supply chain. Are we looking for ways to improve IT operations and generate more computing performance without increasing power consumption? Are we looking to assist the business in transforming processes so as to reduce environmental impact for operations end-to-end? Do we have a strategy to educate our employees, contractors and partners about means to contribute to green initiatives and help the environment? These questions summarize the challenges for IT managers to develop IT practices, policies and technologies that are both good for the planet and good for business. Going green is really about using IT and industry best practices to create more efficient processes which benefit both the company and the environment.